This site is dedicated to illustrate and document the work process and restoration of a 1963 danish folkboat. We hope others will find the details usefull in our findings, solutions and ideas... You are welcome to add your own relevant knowledge on wooden boat restoration subjects. 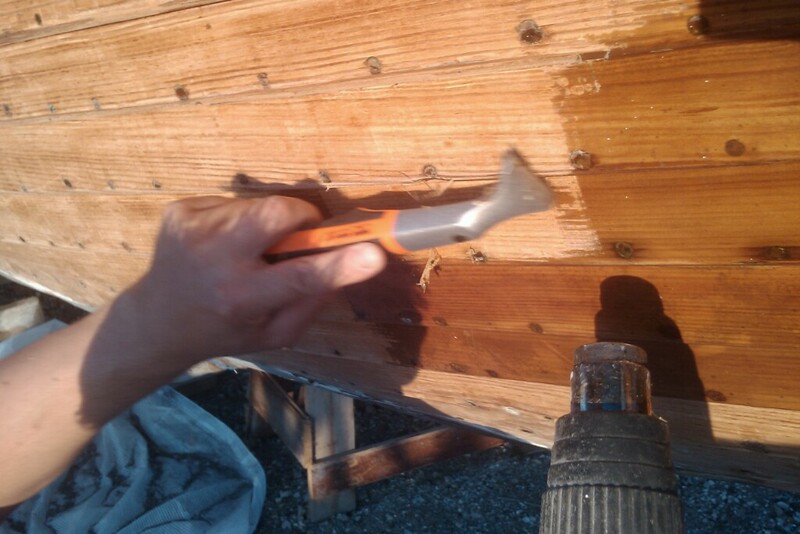 It is easier than expected removing the old varnish and paint of the boat. Our estimation is 60 manhours for the hull. We use something similar to at hairdryer but with 2000 watt. And of course a paint scraper. On http://forum.woodenboat.com/showthread.php?t=91857 you can find more inspiration on the subject. Notice, do not bring it close to body hair!